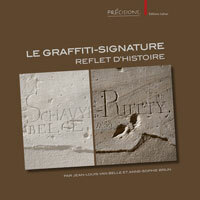 Catégories » Par auteur » A » Aufrère, Sydney H.
S. H. AUFRÈRE, « Au sujet des représentations du Cerbère de type "macrobien" et pseudo-macrobien :une recherche iconologique », Res Antiquae 2, Bruxelles, 2005, p. 3-40. This paper is dealing once again with the iconologic analysis of the so-called Macrobian-Cerberous whose description is given by Macrobius, Saturnals I, 20 : a central standing lion with two lateral heads of a dog and a wolf shooting from its neck, with two snakes climbing up along the lion’s legs and connecting the three animal heads. Two new representations of this fabulous tricephalous animal engraved in the famous book L’Antiquité expliquée en figures of Dom Bernard de Montfaucon (1719-1724) as well as other figures missing in the iconographic corpus of this deity, provide the opportunity to give a new approach of this monster from an egyptological point of view. The basic concept of the tricephalous Cerberous, as well as the iconography of this god were the result of an intellectual exchange between two high figures belonging to the sacerdotal class : Manetho the Sebennytus and the Athenian Timothy the Eumolpid. Embodying both Egyptian and Greek beliefs in the prospect of the creation of the theology of the god Sarapis, at Memphis, under the reign of Ptolemeus Sôter, they promoted a bifocal belief in giving both the Greeks and the Egyptian the god Sarapis ruling in the Hades, and mastering the allegorical « dog » Cerberous, whose certain features are adapted from Egyptian iconography.